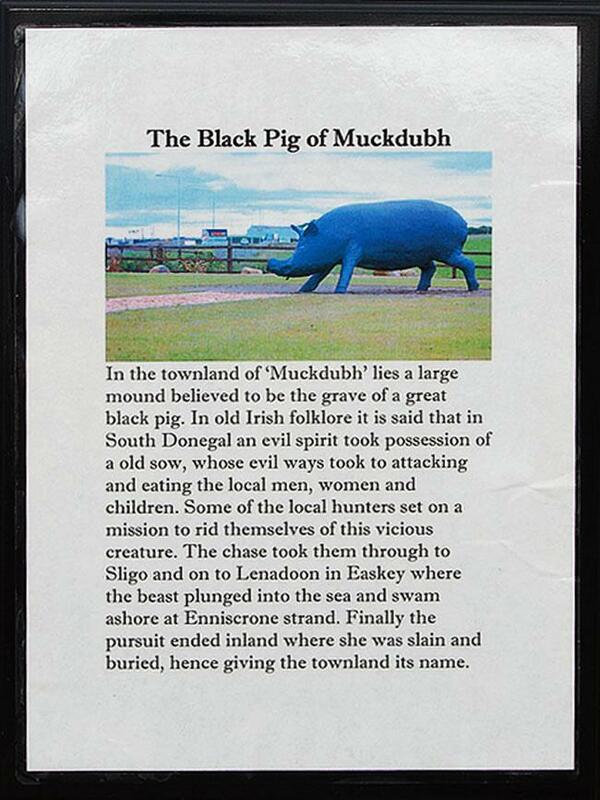 "In the townland of 'Muckdubh' lays a large mound believed to be the grave of the great black pig. 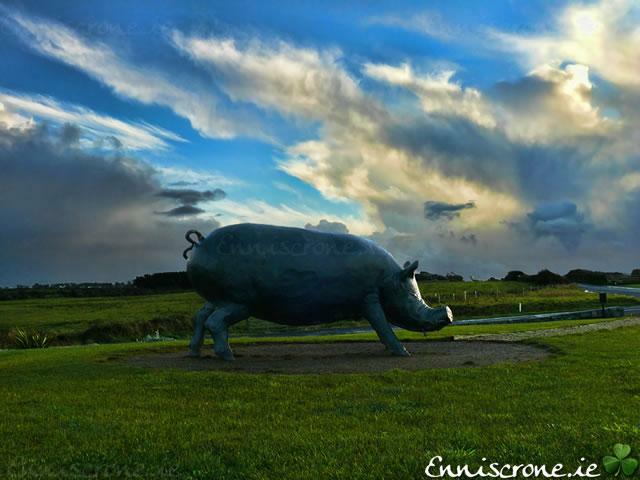 In old Irish folklore it is said that in South Donegal an evil spirit took possession of an old sow, whose evil ways took to attacking and eating the local men, women and children. Some of the local hunters set on a mission to rid themselves of this vicious creature. The chase took them through to Sligo and on to Lenadoon in Easkey where the beast plunged into the sea and swam ashore at Enniscrone strand. Finally the pursuit ended inland where she was slain and buried, hence giving the townland its name."